The whole school took part in a jumbo Easter Egg Hunt today. Every nook and cranny was explored in search of Easter goodies. 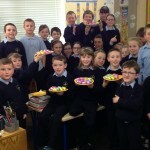 The boys and girls in Ms. McGuirk's room have been busy preparing for the arrival of the Easter Bunny. 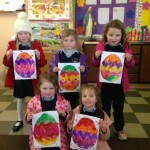 Today they created some very colourful Easter Eggs. The St. Brigid’s NS school community enjoyed a fantastic evenings entertainment as families pitted their knowledge against each other. 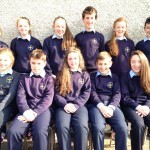 Congratulations to Robert, Francis, Joshua & Aoibhinn Dunne on winning the Family Fun Quiz. The evening was hosted by our MC Kevin Murphy, who also organised the 10 rounds of questions. Well done to Anne Marie, Jacinta and Eileen for organising this fundraising event. 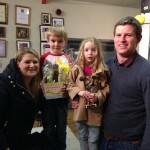 A special thank you to all our wonderful families who came along to support on the night. Congratulations to Ms. McGuirk on winning the St. Brigid's NS weekly draw (27/03/2015). The Parents Association would like to thank families for their continued support. It is greatly appreciated. Happy Easter! 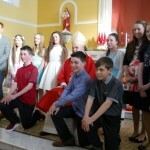 Bishop Leo O'Reilly celebrated the sacrament of Confirmation with the 6th class boys and girls on Sunday 22nd March 2015. If you have pictures of the confirmation and would like to share them please e-mail to redhillsns@gmail.com and we will add them to the post. 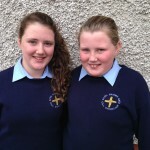 Congratulations to Tara, Emma and family on winning the St. Brigid's NS weekly draw (20/03/2014). 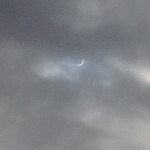 Minutes after the partial eclipse we received a very special visit from Bishop Leo O'Reilly in advance of Confirmation on Sunday. In the senior room he focused on the importance of exercising the gifts of right judgement and courage. After, he visited the other classes in the school. 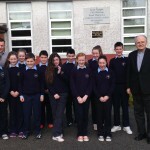 During his tour Bishop Leo observed 1st & 2nd class during Power Hour and he was highly impressed. 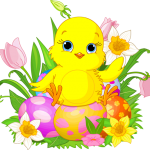 Only a week to go to our Easter Family Fun Quiz. Quiz begins at 7.30 pm sharp. €20 per family. Trophy for the winning team. Refreshments provided. Spot prizes throughout the night. 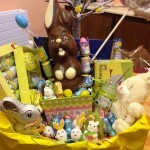 Also, raffle for the Easter baskets and Hamper. Tickets for the raffle are on sale in each classroom and tickets for the hamper can be bought in the office or on the door on Thursday night, all tickets only €1 each. Looking forward to seeing you all there.